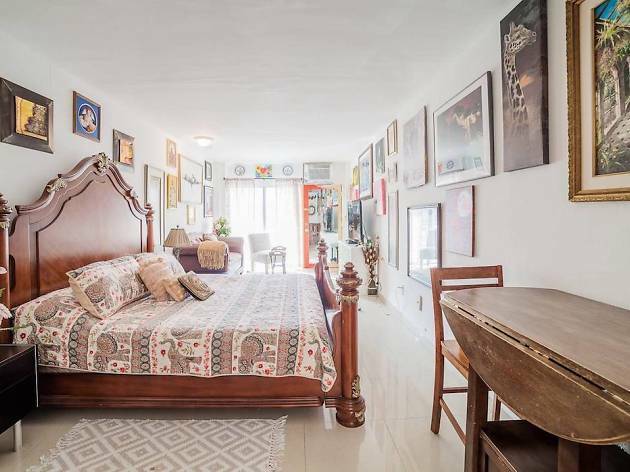 So you’re looking for the best Airbnb South Beach homes you can rent right now? Maybe you’re rounding up the gals for a bachelorette party, or perhaps you’re just insanely sick of winter. 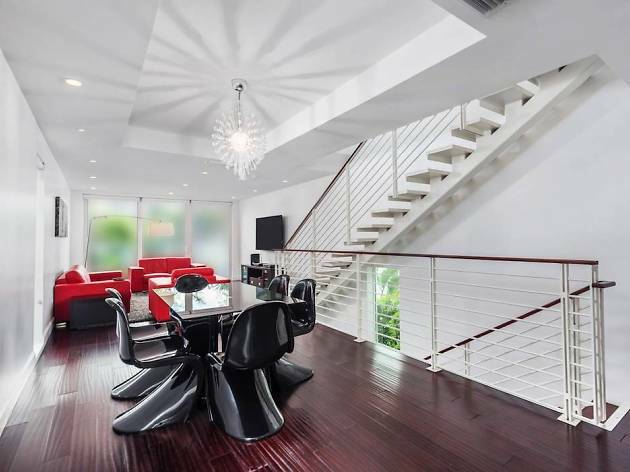 There are no shortage of amazing Airbnb Miami homes available in this city and, obviously, the best Miami hotels are stunning. But if you want to stay in South Beach, there is a strong case to be made for the Airbnb. 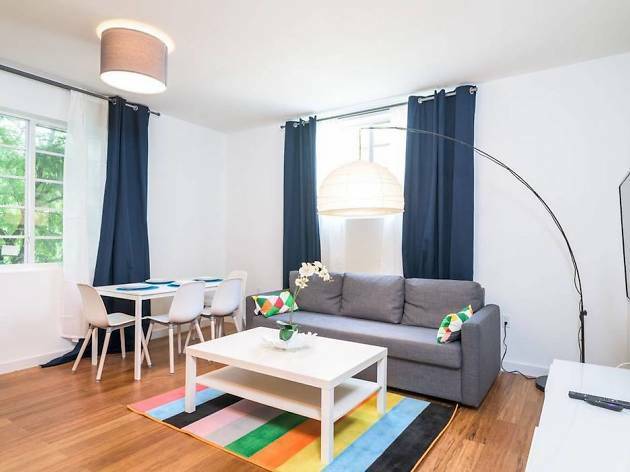 Hotels in these parts will cost you a pretty penny, while an Airbnb will generally be much more affordable and give you the freedom to let loose without having to worry about being silently judged by the concierge. This clean, neat space can sleep up to six, with its three beds and two bathrooms. You’ll get the whole place to yourself (plus the host is a certified Superhost) and you’re super close to Lincoln Road, Española Way and the beach. Wifi and a washer/dryer? Check and check. Look. At. This. Beauty. The modern, vertical space makes the most of every floor. All the furniture is super hip and funky—and have you seen that adorable little kitchen bar? Squeeze up to eight at a crazy $150 per night. That could be as low as $18 per person, an almost unheard of rate for South Beach. 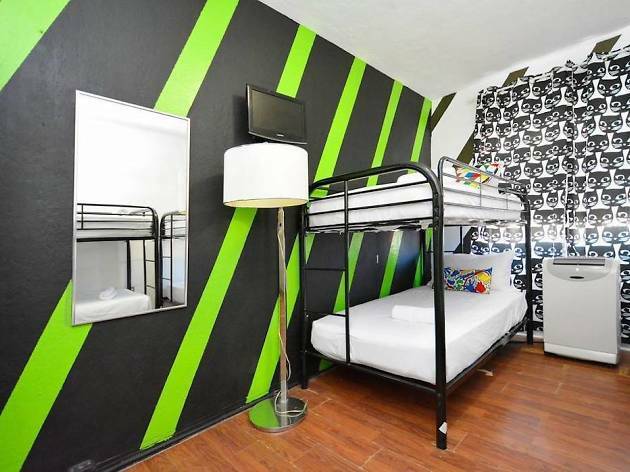 Hostels are an acquired taste but if you’re cool with sharing a room, this South Beach spot is a winner. The bright, cozy spot offers free breakfast and dinner and will house you for as low as $16 a night. That really loosens your budget up for booze, which ain’t cheap on SoBe. Is a South Beach vacation really the time for modesty? Of course not. 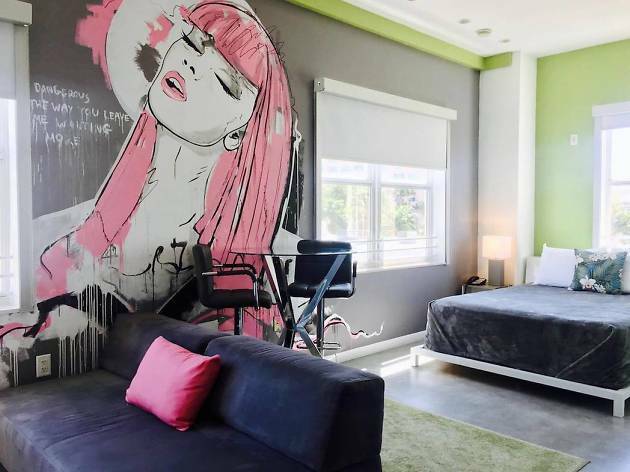 So book this private apartment and enjoy the racy floor-to-ceiling mural by your bed. It’ll be the perfect backdrop for all your post-beach selfies, though it could also very well scare the bejesus out of you if you get up to go pee at 4am and forget it’s there. 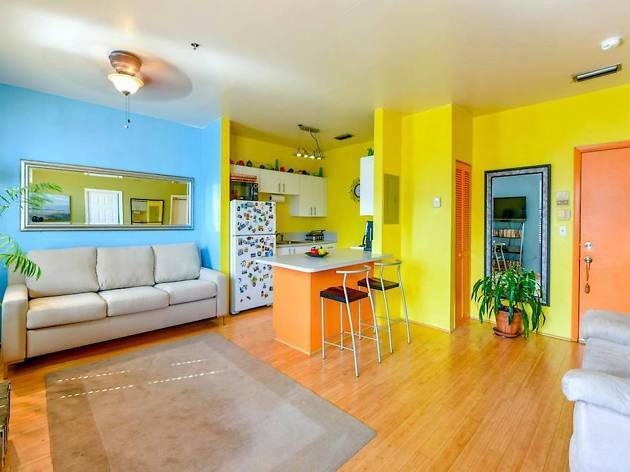 Staying in this apartment is like living inside a parrot. In a good way. Splashes of bright, tropical color are everywhere you look in this studio. Feel free to pack light since you have a washer/dryer and after a long day of relaxing, relax even more with a soak in the jacuzzi tub. There are certainly no shortage of things to look at in this quirky studio. 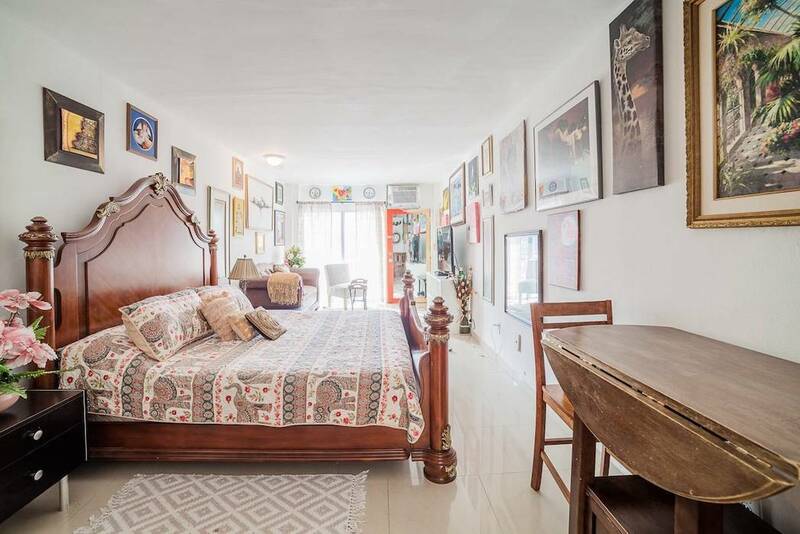 The huge bed is surrounded by a small army of paintings and photographs. 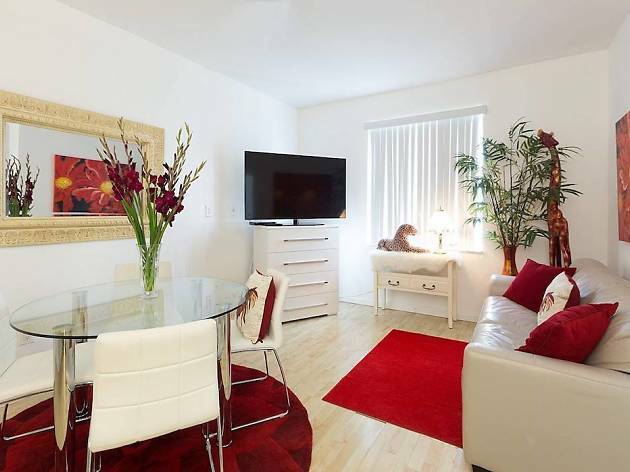 A narrow kitchen will do the trick for small meals and the location is smack dab in the center of South Beach. Your South Beach Scarface fantasies will be mildly fulfilled in this private apartment fit for Tony Montana’s abuela. A tiny stuffed jaguar keeps watch on a white rug next to the window. Red and white is the color scheme of choice and the full kitchen will help you cook when you need to save a few. 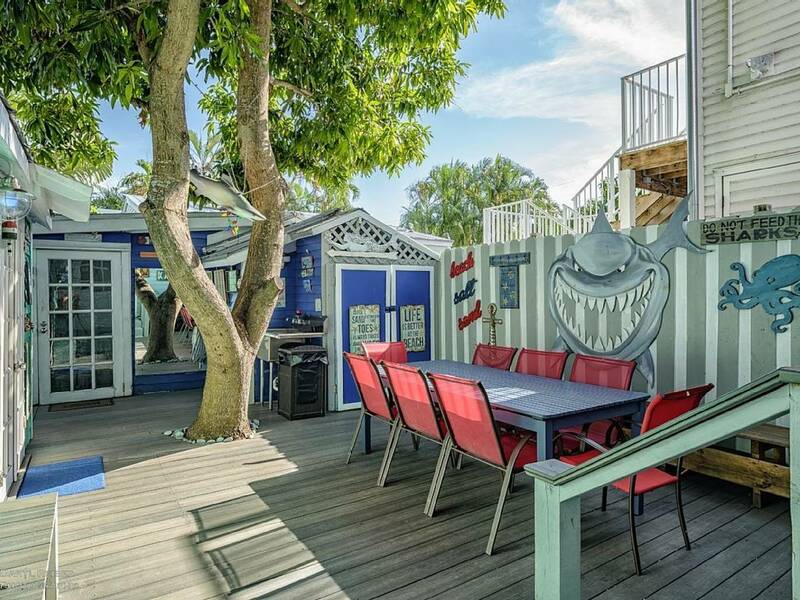 Want to escape to Key West?